A firming serum featuring a deeply hydrating blend of Okinawa red algae and hyaluronic acid to nourish skin in need of bounceback. Size: 30 ml | 1.0 fl. oz. 23-karat gold lends skin a lit-from-within look, without adding shimmer to the face. In a consumer-use study after 2 weeks, 92% of participants reported that skin felt firmer and instantly smoother. 23-karat gold lends skin a lit-from-within look, without adding shimmer to the face. In a consumer-use study after 2 weeks, 90% of participants reported that skin felt firmer and smoother. After cleansing and polishing, massage 1 pump gently in circular motions. Allow serum to absorb fully and finish as needed with a moisturizer or SPF. Use morning and night to enjoy firming benefits and luminous, deeply hydrated skin. Luminous Deep Hydration Firming Serum is rated 4.4 out of 5 by 89. Rated 5 out of 5 by Patricia from A beautiful day serum I use this on the mornings because the gold in it provides a beautiful glow that I want to have while I'm out, no while I'm sleeping. The texture has a gel consistency yet provides weightless hydration. It doesn't feel tacky on my skin unlike other moisturizing serums I own. I had a few dry patches on my skin due to a salicylic treatment I was using them and within two days of using this serum, they were gone. I've also found that the "firming" effects are more long-term. This isn't one of those serums that will immediately "firm" the skin, but I am surprised how my skin has become more toned. 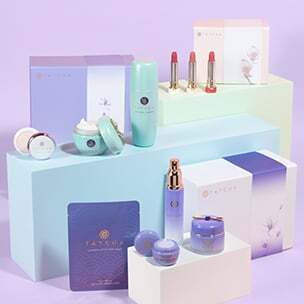 Another great addition to the TATCHA collection! Rated 5 out of 5 by Oum from Extremely Hydrating! First of all, this serum is ideal for drier skin like mine. It is extremely hydrating more than anything. The texture is more viscous than your typical serum making it feel more like a gel moisturizer on. I have found it works best with my Silk Cream and Renewal Cream on top. Since incorporating this serum, I have noticed a lessening of my marionette lines, the "11's" between my brows, and my crows feet. You do "feel" this serum on the skin more than others, but as someone with dry skin I love that! My skin stays moist and plump from morning until evening. I also like the glow I get from the gold pearl blended throughout. Happy Judy! Rated 5 out of 5 by Mediterranean Maven from Another Winner From Tatcha This serum is so hydrating for my dry, sensitive skin. Only a little goes a long way - just one pump is enough for the entire face. I noticed immediately how my skin just absorbed the product quickly, leaving it plump, hydrated and soothed. I finish with either the Moisure Silk Cream during the day or the Ageless Enriching Renewal Cream at night and my skin is soothed, smooth and hydrated all day and night. While I love the Brightening Serum, this Luminous Serum seems to take my skin to another level of softness, suppleness and clarity. Highly recommend and I can't wait to see it as part of the lineup in the sets. Rated 5 out of 5 by Anonymous from Lovely Serum I was hesitant to try this because of the mixed reviews, but I am glad I did. I am 72 years young and haven't always used skincare of this caliber or price. I called in to Tatcha's lovely customer service and received amazing advice to find just the right regimen. They answered all my questions and put my concerns to rest with their Happiness Guarantee. My skin had just started to dramatically sag and the parenthesis around my mouth had become deeper. Since using this serum, my skin is plumper, smoother, and has a glow like I haven't seen in 20 years. I will continue to purchase this wonderful product! Rated 4 out of 5 by Anonymous from LIVING UP TO ITS NAME - DEEP HYDRATION! I have been struggling with breakouts ever since I moved to a colder country from the tropics. 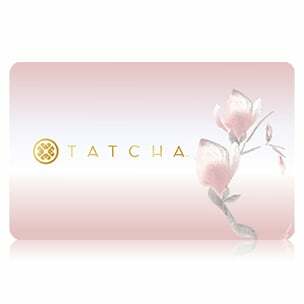 That's when my sister introduced me to this serum, my first Tatcha product. I was doubtful at first as I have oily skin, surely I do not require a hydration serum. I was wrong and as the serum replenished moisture to my skin, just within the first 2 weeks my face is less oily and I have less breakouts too! Since then this has been a staple product in the bathroom. I have to rate it 4 stars though as I find using Tatcha Pore Perfecting Sunscreen after applying the serum will strip the serum off my face like little gelatinous balls. Now I am only applying it at night time, which is still fine. Rated 2 out of 5 by Bianca from Makes your face extremely sticky This product is decently hydrating which is nice for my slightly dry skin. However, after applying this serum, my face feels extremely sticky. The only products I use before this serum are my toner and SK-II essence, neither which are sticky at all. I tried applying a loose powder to make my face less sticky but it doesn't do much. When I apply my makeup, it's splotchy. Foundation applies easy enough but the stickiness comes through. Other products I apply like blush, highlighter, and bronzer come out splotchy. I'm not sure if I'm using the serum incorrectly. I shook the product prior to use as well. This Serum leaves face sticky, making makeup application difficult. When do I use the serum? Use daily after cleansing and exfoliating, morning and night. Can I use the Violet-C Brightening Serum with the Firming Serum? Thank you for your question! We suggest using the Luminous Deep Hydration Firming Serum during the day and then apply the Violet C Brightening Serum in the evening. We hope this helps! How long does the serum last if used daily, morning and evening? Thank you for your question! All full sized items, this serum included, last approximately 3 months when used as directed. We hope this helps! Thank you for your question! The Luminous Deep Hydration Firming Serum is for all skin types including oily. It can be apply daily, morning and night, under any moisturizer. We hope this helps! What is the purpose of the serum? This serum helps give skin a firmer and plumper appearance. The Okinawa Red Algae extract in the serum provides deep hydration and helps your skin retain moisture. Why do I have to shake it before applying? Gently shaking the bottle helps distribute the 23-karat gold flakes inside that gives your skin subtle luminosity. Thank you for your question! The Luminous Deep Hydration Firming Serum has just recently been tested, and has been shown to be non-comedogenic. The website will be updated shortly to reflect this. We hope this helps! Can I wear this under makeup? Yes. Our makeup artist friends actually asked us to make a serum like this to help them prep skin for makeup. We&rsquo;re delighted the results work quickly to create a plumped, smooth and hydrated canvas for makeup.